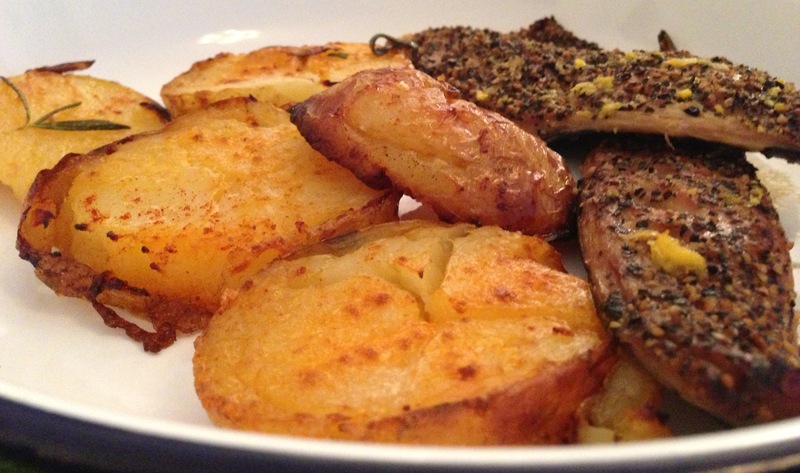 I’m a big fan of smoked mackerel and for dinner tonight I just added some lemon zest and baked it in foil. It was accompanied by San Sebastien inspired potatoes which I am calling Patatas Sebastien (my mate Steve calls his version Paprika Potatoes). The potatoes were baked in foil for 45 mins, then sliced and added to a roasting tin with heated extra virgin olive oil. Rosemary, pimenton and rock salt were added before returning to the oven and roasting for 20 mins. Those spanish spuds look well tasty.. Will give them a whirl. Ole! Thanks – hope you like them!